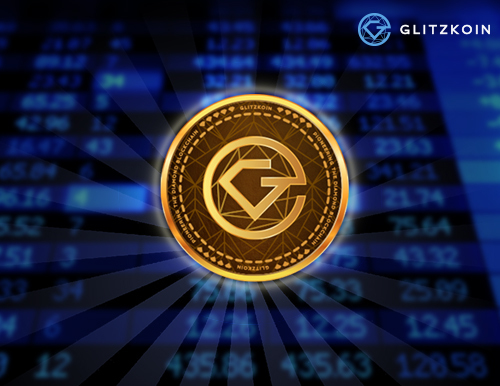 With the GLITZKOIN token having entered the trading phase, queries about the GTN token price are being frequently heard. We will surely not whip up a market frenzy here but, will highlight some very promising and relevant, facts that could have a positive effect on the token price. It has been a trend for prices of cryptocurrencies, deployed in the past few months to take a deep dive after the completion of the ICO (Initial Currency Offering). Interestingly, the GTN held up firmly even months after the ICO. This obviously reveals a lot about the project and the confidence, placed in it by the crypto and diamond community. The GTN token (GLITZKOIN) will be used to settle payments on the diamond exchange implemented as part of the project, this is bound to generate significant interest in the crypto community. The project has a strong foundation in the, 90 billion dollar diamond industry and is headed by a second generation diamond veteran. The development of the Diamond Exchange is on track and this, happens to be the first diamond blockchain to be headed by a diamond industry insider. Leveraging on the vast network of diamond buyers and sellers developed over the past 40 years, CEO Navneet Goenka is confident of attracting substantial trade on the platform. So what has all this got to do with the price of the GTN (GLITZKOIN) token. As explained above the payments for trade conducted on the GLITZKOIN Diamond Exchange, will be made using the GTN crypto token. The diamond community is ready to welcome this move as, it frees them from cumbersome and time delaying banking procedures. Blockchain technology provides a very economical way to process payments. By using the GTN token on the trading platform, traders will not have to deal with the challenges of multicurrency transactions. The price of the GTN will be influenced by the demand generated for the token. Diamond traders will need to buy the token from the crypto exchanges, this would be an added source for demand. The crypto community would buy and sell the GLITZKOIN token, based on their interpretation of market trends. This translates into two active sources of demand generation for the token. When assessing the potential of the GTN token to show a price rise, it is important to understand that, the total number of tokens have been clearly defined and there is no scope for increasing that number. The maximum number of tokens that can be brought into circulation are 999 million. The presence of a strong demand pattern set against, a limited supply, is what the crypto exchange would experience. It does not take much to understand what that would do to the price of the GLITZKOIN token.